You may have heard about it on international news. Everyone's been talking about the issue, and it's caused quite a bit of consternation. No? You didn't hear about that? As you can see, it was horrible. 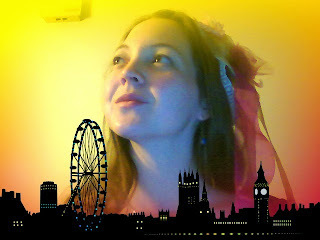 Er, maybe I dug through the pictures of me trying out my webcam again. That's also a possibility. What do you mean, I should plan my posts further ahead of time, so I don't have to scramble the night before for a post? Well, uh... My only defense is that I'm planning my author website (which will, yes, be linked to this blog when it's up an running). Until then, try not to get squished by giant heads.